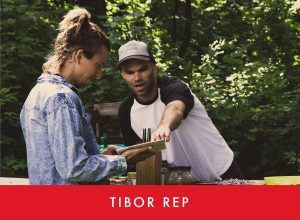 Tibor Rep loves to cook. He has been featured at numerous events and festivals under his REPeat brand. He’ll present the Slovenian edition of his meat free recipe cookbook REPeat FUDZIN, self-published at the end of 2018. The booklet contains 36 illustrated meat free recipes. The illustrations are Rep’s original work, and the cookbook, which also functions as a children’s colouring book, was designed by Buche design. 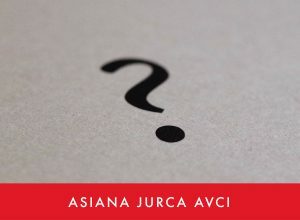 ZINE VITRINE│Asiana Jurca Avci: ? With the exhibition of her new zine, photographer Asiana Jurca Avci focuses on the reasonableness for realising an artistic idea. During a time of creative-existential crisis and rebellion against hyperproduction in art, she started looking at her work in a different way: she thought too much about creative work as the production of a certain product, which she must sell and package as an end product, and she felt her creativity got lost along the way. Challenged by a new project, she was faced with a bunch of potential ideas, but not quite satisfied with any of them. They would mostly require too much time, organisation or money, and she also doubted their relevance and execution to the point where they began to seem senseless. In this banal creative block, she decided to collaborate with 17 artists. Each of them received a message with the invitation to visualise one of the ideas and certain technical specifications. In this way, the artist shifted the attention from her own production to collaboration. Asiana Jurca Avci (1992) graduated in Visual Communication (Photography) from the Academy of Fine Arts and Design in Ljubljana in September 2015. She is currently studying for an M.A. in Photography at the same institution. Her original series, presented primarily in the form of photo zines and photobooks, are characterised by autobiographical confessional poetics and a sense for the narrative, originating in her strong interest in film. Her work has been featured in numerous group exhibitions in Ljubljana, Croatia and Slovakia. In her project, the young multimedia artist discusses intimacy and control, exploring the utopian desire of finding the natural and the coincidental in virtual space. She will present the making of the film Sokolovo oko/Under the Eagle’s Gaze, created with the help of webcams. Through live editing, the film displayed clips of animals to viewers in real-time in the classic documentary manner. 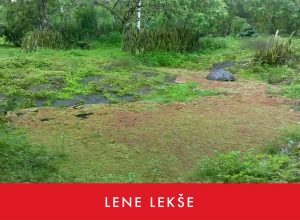 Lene Lekše (1995) graduated in Sculpture at the Academy of Fine Arts and Design (ALUO) in Ljubljana in 2018, then enrolled in an M.A. programme there. She attended a study exchange programme at the Minerva Academy in Groningen, The Netherlands, for a year. She is the recipient of two ALUO Awards and the City of Ljubljana scholarship. 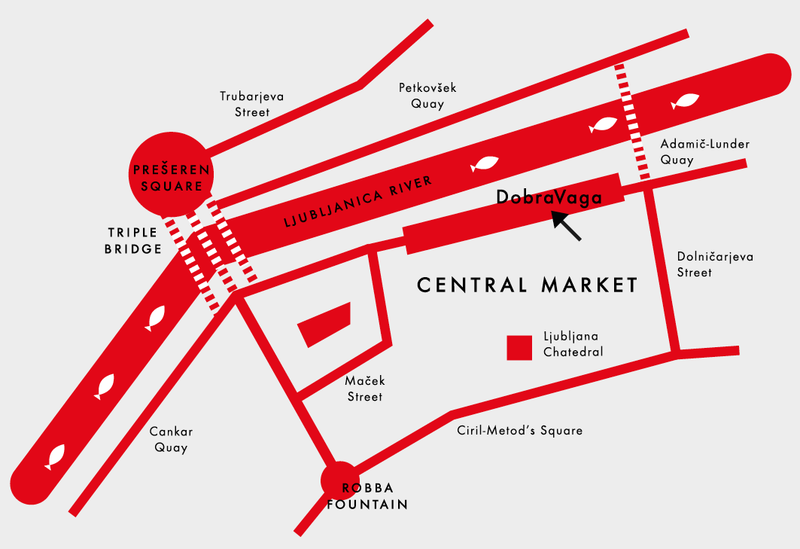 As of 2018, she organizes student exhibitions around Slovenia within the framework of the Galerija 7:069 project. She has participated in numerous group exhibitions, as well as the Stories from the Island solo exhibition at the Mahlerca Gallery in Kranj. 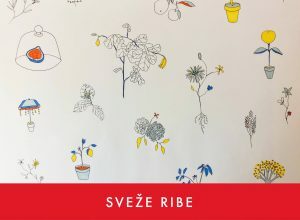 After closing appointMENT #3, this year’s music poster exhibition, we are opening a new edition of our group commercial exhibition SVEŽE RIBE (Fresh Fish). The exhibition, this time tagged #current, offers a new overview of the very recent production by young local artists. We have refreshed our collection of drawings, prints and works on canvas. The collection is characterised by artistic expressions that catch the eye with their humour, poetry, critical views and ever-evolving features.